There are lots of great free and commercial vocoder plugins available these days, but setting them up in Cubase isn't always straightforward. On top of that, there's a lot more to getting a good-sounding vocoder than simply getting your DAW routing configured properly. For that reason, this first post covers some general tips that will help you get the most out of any vocoder plugin you end up using, and the posts that follow walk you through configuring a number of specific vocoders. At the bottom of this post you'll find links to each of my tutorials for configuring several different vocoder plugins. But for now, let's cover the basics. There are different applications for vocoders and their various components, but these tutorials are just going to cover the most common use case for music production: For our purposes, a vocoder is a tool that analyzes an incoming audio signal (usually a human voice) called the modulator, breaks that source signal into an arbitrary number of signal bands, and uses this encoded information to modulate a secondary audio source (usually a synth patch) called the carrier. Another way of putting it: The vocoder attempts to approximate the sound of the modulator signal using audio material from the carrier. Vocoders are very often used for rich harmonized vocal sections. Frequently (even in some tutorials I've seen), I notice people will feed a non-harmonized vocal source/modulator into a vocoder where only the synth/carrier signal is harmonized. The result sometimes sounds okay, simply because of the harmonics (frequencies surrounding the root note) that might be going on in the carrier signal- but more often only the notes in the carrier that match whatever was in the source signal will come through very well. 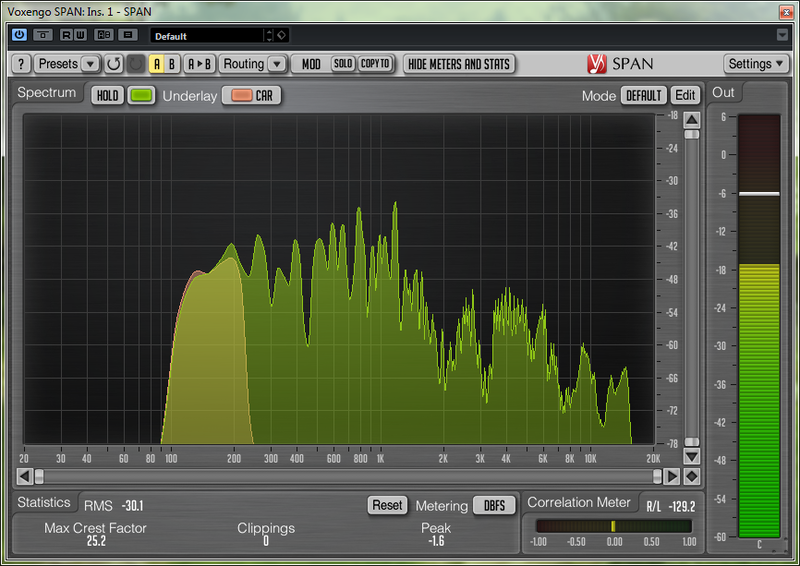 So, if you want the end result to be harmonized both your carrier and your modulator signals need to be harmonized. 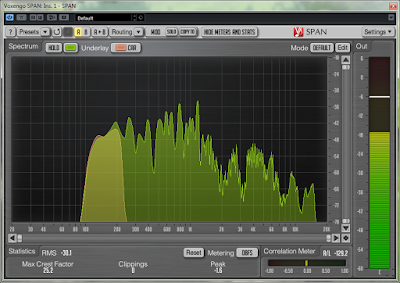 And not just the same notes, but the same octaves/frequency ranges as well. The human voice covers a lot of the audible spectrum when you consider not just the pitched vowel sounds, but the unpitched consonant sounds as well. All the various resonances and vibrations involved in the human voice, can result in a harmonically rich sound, even when just singing vowels. If you use a carrier signal that only matches the exact frequencies of the musical notes in your modulator's melody, you will likely lose a lot of the consonant sounds, because there won't be enough high-frequency content in your carrier to reproduce them. Some vocoders include features to add noise to the carrier (which gives the vocoder some high-frequency content to shape consonants with) or mix some of the original modulator into the sound keep things intelligible, but simply choosing your carrier patches wisely can go a long way. In order to properly follow the melody of your incoming modulator signal, it helps to have a carrier that starts and stops quickly so it always (and only) plays the notes you need, when you need them. You can get some interesting results by messing with longer attack and especially release times once you've got everything set up, but sticking to fast/responsive patches can speed up your auditioning and troubleshooting process. Similar to sounds with long release stages, patches that have noticeable reverb tails or delays can also be interesting, but they can also give you unexpected results when auditioning sounds. Try disabling reverb or dialing back decay times if you notice pitch changes that seem to get muddled in the vocoded results. Some vocoders have limited "sweet spots" when it comes to the levels of the signals you feed to them- particularly the modulators. Vocoders are also easily overloaded due to the mixing of the various signals, and not all of them have level meters or internal gain controls. Start out with moderate, matching levels for both your carrier and modulator signals when you're just trying to confirm things are working properly. 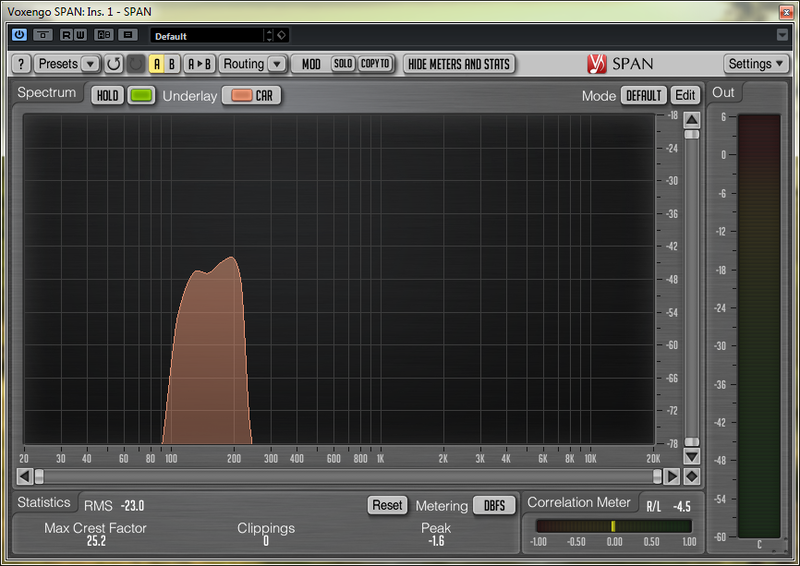 You can experiment with overdriving (or dialing back) different levels when you're refining your sound. Compressing the modulator before it hits your vocoder can both even out the dynamics and bring out some of the unpitched consonant sounds, making the vocoder voice more intelligible. As you might imagine, synth patches that change over time can be very interesting vocoder carriers. 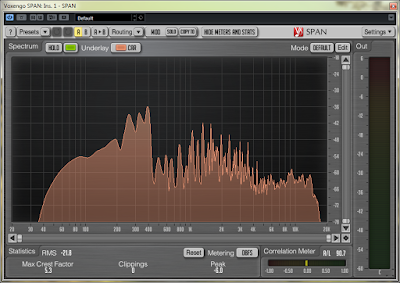 To take advantage of such sounds you might find that it helps to simplify your MIDI data. For example, if you sing three notes in a row at the same pitch, your MIDI might just have a single extended note at that pitch to give your patch some time to evolve. Patches that begin with a click or a pluck of some kind might also influence your decision of whether to exactly mirror the individual notes of the modulator in MIDI or only follow the pitches. This project is for cases where you want to use the plugin's built-in synthesizer/carrier instead of supplying your own carrier signal. The project includes an audio clip with harmonized vocals and a MIDI clip that plays the same harmony/melody as the vocal track. The MIDI clip is not routed to any instrument when you first load the project, so you won't hear anything but the vocal track when you play it. The "internal carrier" examples in the following posts will tell you when to use this track. The project contains a vocal clip to serve as the modulator and a synth pad clip to serve as the carrier. Tracks 3-8 are the original vocal audio tracks I recorded to use as my modulator. 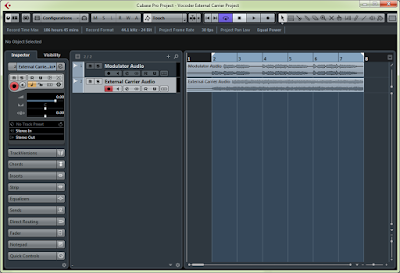 I recorded three parts, but duplicated each track to smooth out the initial "Hello" when looping. All of these tracks are routed to the "Modulator Vocals (Stereo)" group channel. Track 14 is an instrument track with an instance of HALion Sonic, playing a MIDI part that serves as the carrier for all vocoder configurations that use an external carrier. This track has two sends, routed to each of the "External Carrier" group channels. 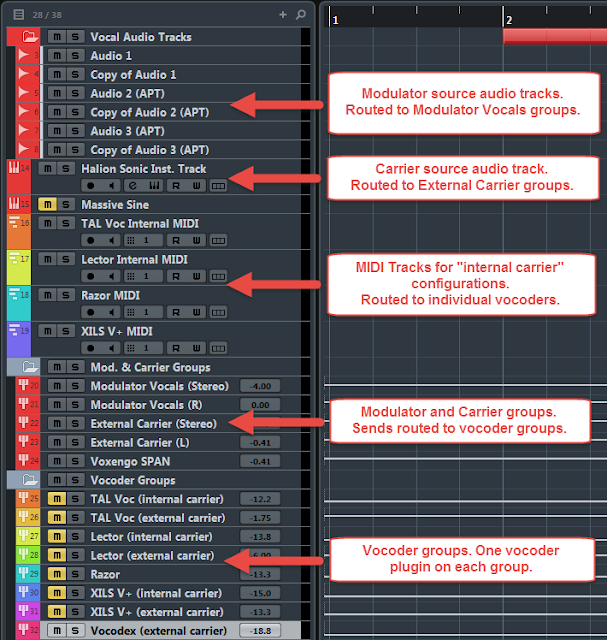 Tracks 16-19 are MIDI tracks which send MIDI to individual vocoder plugin instances that are configured to use the given plugin's internal carrier. They are color-coded to indicate which plugin instance they play into. Tracks 20-23 are group channels that route audio to the various plugin configurations via sends. The reason there are two stereo groups and two single-channel groups is because some plugins only accept audio as a stereo pair, where the Left and Right channels independently deliver the carrier or modulator. 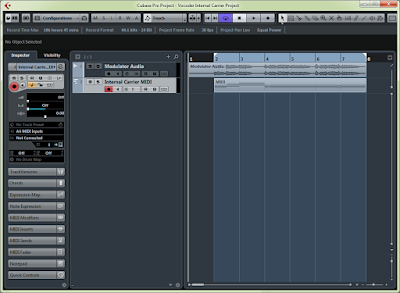 Tracks 25-32 are the individual plugin configuration groups. Each one contains a single instance of a given vocoder as an audio insert, and each one receives audio from one of the Modulator Vocals buses. Additionally, the "external carrier" configurations receive audio from one of the "External Carrier" groups, and the "internal carrier" configurations instead receive MIDI from their respective MIDI track, as indicated by the track color. 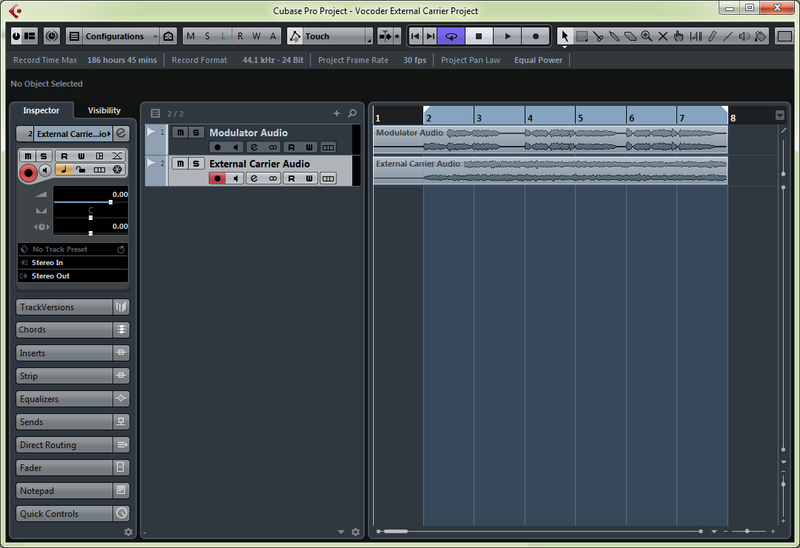 NOTE: These are the only channels in the project that send audio to Cubase's "Stereo Out." All other channels and tracks are set to either "No bus" or routed to other channels, since we only want to hear the vocoder output, not the raw modulator or carrier signals. I set up a SoundCloud playlist of all the clips I recorded for this tutorial. It contains the raw modulator and carrier as well as examples of every plugin mentioned in these tutorials, in each of their possible routing configurations- so you can hear all the vocoders side-by-side. Thank you for this comprehensive tutorial! I have been trying to grasp this concept for some time, how to use vocoders in Cubase, without success - mostly due to the lack of good manuals and tutorials. Your post has helped me to understand this better... thanks! Am I missing something? The tutorial project seems to simply be a clip of the processed audio that already has harmony bounced into it; neither of the two tracks are connected, and there are no effects/group channels/etc configured for reference. Quite disappointed if this is all there is, but hopefully I am misunderstanding. @Joe - The purpose of the tutorial projects is to give you audio and/or MIDI that are guaranteed to deliver good results if you set your vocoder up properly. 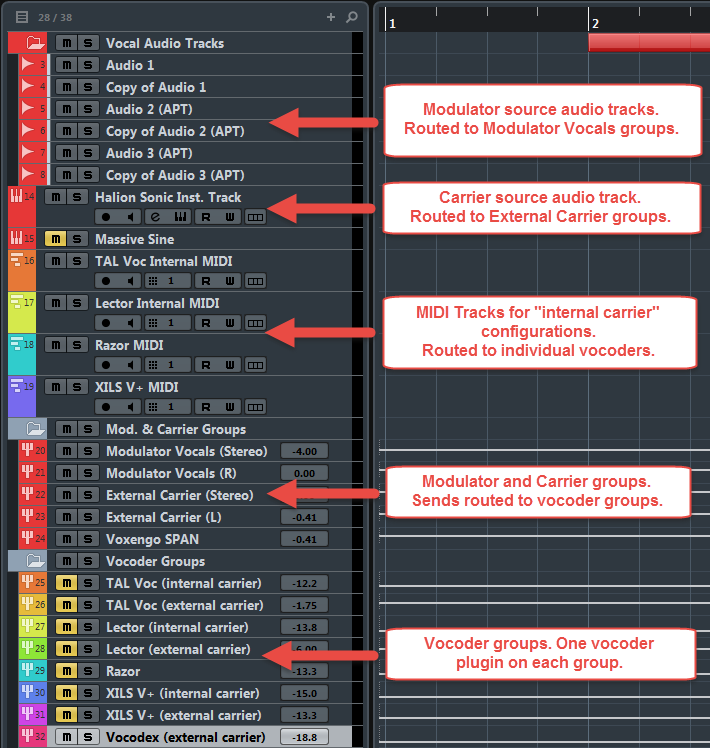 A lot of people using vocoders for the first time don't understand how sensitive they are to pitches of both carrier and modulator, so I provided a couple projects which definitely have usable source material so you don't have to worry about that part when trying to get your plugin working. The harmonized audio hasn't been processed by a vocoder, and once you configure your plugin correctly you don't hear that track (directly) at all. Each of my subsequent posts in this series use the tutorial projects as the base, depending on whether you're using an internal or external carrier setup. If you use these projects you can go step-by-step with the individual instrument tutorials and be sure you've got everything set up right just by comparing your screen/DAW to the screenshots. thanks to you i finally figured out how to use a vocoder in cubase! however, my stereo vocoded vocal is coming out mono. i used your 'USING AN EXTERNAL CARRIER: STEREO SIDECHAIN METHOD' using morphoder and everything was great besides the stereo vocals going basically mono. i used stereo instance of morphoder as well as a stereo modulator and stereo carrier (instrument track with massive). 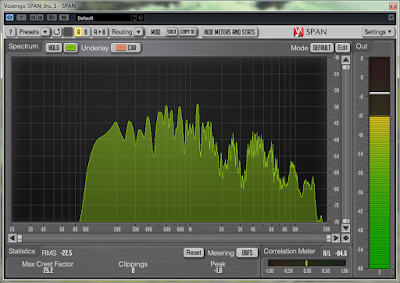 any ideas why the vocoded vocals have lost their stereo width? thanks again!